Skylark Blog: Protecting your Privacy in a Divorce. Who has access to your mail, e-mail, etc.? 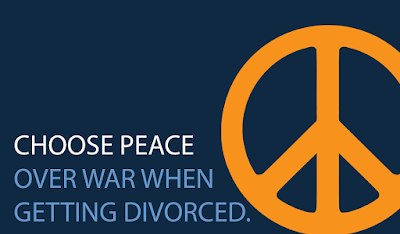 Protecting your Privacy in a Divorce. Who has access to your mail, e-mail, etc.? I recently read an article entitled Is Your Boyfriend Reading Your Facebook Messages?, which stated that in response to an online survey, more than 20% of men admitted to reading their partner's e-mail or messaging accounts, and another 20% said they hadn't yet but would if they were suspicious that their partner was up to something. Of course, this raises significant concerns about the behavior of the 20% who have already invaded their partner's privacy, including concerns about trust in a relationship and the dangers of controlling behavior in relationships. It is just as shocking, though, that just as many men responded that they hadn't invaded their partner's privacy yet, but would if they were suspicious. Or, at least it would be shocking if I wasn't a divorce attorney. In fact, I often warn my clients that everything they say can and will be used against them in Court, and that includes things they say on facebook, twitter, and even potentially in their e-mail or snail mail. Many parties don't realize that besides the lack of privacy on sites like facebook, even their e-mail and letters are discoverable in a Divorce case and could become evidence. The only communications that are not admissible are those that are privileged, such as communications with your attorney. 1. Immediately change all of your passwords for e-mail, facebook, banking and other accounts. Don't use the same passwords for any accounts and make your passwords complicated so that your ex cannot guess them. For reasons why you shouldn't choose easy passwords check out this article at LifeHacker. For tips on picking strong passwords check out this article at TechSoup. If you still have concerns about an account, close it and open a brand new account. 2. Obtain a P.O. Box. Obviously if you and your ex have not yet separated there is the potential for issues with your mail, but even if you have separated and our living apart, your mail is still often vulnerable to both accidental and purposeful interception. For example, if your ex places a mail forward on their name, any mail that is marked poorly (Mr. instead of Mrs. by accident) could be forward to your ex without you ever seeing it. In addition, federal laws against mail tampering are easily broken since none of us have locks on our mailboxes. And unfortunately, children often having prying eyes. Considering that the cost of a P.O. box for a year is probably cheaper than one hour of your attorney's time, it's well worth the investment to avoid the potential problems of having your mail unsecure. 3. Encrypt Electronic Communications. At Kelsey & Trask, P.C. we use SSL encrypted e-mail, and we encrypt and password protect any documents we send to clients that have private or financial information. You should ask your counsel to do the same to ensure that even if your account or your computer are somehow accessed, the draft and final files that you have exchanged with your counsel are not easily accessed. For more information about protecting your privacy as much as possible through the divorce process, contact Attorney Justin Kelsey at (508) 655-5980 and schedule a one hour initial consultation. Justin Kelsey makes excellent points here that private information of one person in a relationship can be used and abused by the other partner once the relationship ends. And Justin Kelsey makes some good suggestions on ways to protect your email, facebook and banking accounts, before and after the relationship breaks apart. The flip side of this is when one member of a relationship/marriage seeks to hide assets and information that was legally held together by both members of the marriage/relationship. When the family unit begins to deteriorate from the strains of economic uncertainty, some people take a very selfish, "me first" attitude, even in the family setting. We are seeing more and more cases where the primary bread winner has taken, or is taking strategic steps to conceal assets from their spouse. Unbelievably, this is often potentially financially injurious to their innocent children. A qualified investigator who has experience in estate planning and asset protection can be a valuable ally to the innocent spouse in the divorce setting. Such knowledge can be put to work to follow the digital/paper trail. Many times we have had an innocent spouse come to us with a suspicion that the spouse is moving monies offshore. Unfortunately, if their suspicion proves true and the spouse was sophisticated in the design of the offshore planning, the possibility of repatriating the assets are minimal, if not impossible. However, what must be kept in mind is that in the domestic family court system this information - if verified - can often prove very beneficial to the innocent spouse.